Everyone has different spiritual needs. Luckily, there’s an abundance of healing experience waiting just for you in Encinitas, CA! Whether you’re seeking recalibration at a world-class yoga studio, Naturopathic services from a renowned holistic doctor and healer, or a tranquil place for deep meditation, Encinitas offers a wide variety of holistic services that will leave you feeling recharged and renewed. Below, we’ve compiled just a few of the most rejuvenating spiritual wellness activities in Encinitas. For more of our favorite yoga retreats, recommended healers, and much more, be sure to request access to our complimentary Destination Guide to North County San Diego! Here, you can partake in a variety of yoga styles including Kundalini, Vinyasa, and Restorative. Find Soul of Yoga at 627 Encinitas Boulevard. It’s just a 23-minute walk from The Inn at Moonlight Beach! This studio offers Ashtanga yoga in the Mysore tradition six days a week. It is an 8-minute drive away from The Inn and is located at 1905 Calle Barcelona Street (Suite 218) in Carlsbad, CA. Call (760) 632-7093. If you are seeking hot yoga classes in downtown Encinitas, Yoga Tropics is the perfect spot to practice. Afterward, you can grab a fresh smoothie across the street at Lotus Cafe. It is located at 830 South Coast Highway 101. At Indigo Dragon, you’ll discover ancient wisdom with a modern touch. This full-service wellness center offers everything from acupuncture and chiropractic care to naturopathy and energy healing. They also have yoga classes & midwifery services. Find it at 451 La Veta Avenue in Encinitas. It’s an 18-minute walk (or 3-minute drive) away from your suite at The Inn. Bloom Naturopathic Health is a boutique medical center founded by Dr. Amanda M. Ward, N.D. Ward and her caring staff specialize in the most advanced naturopathic medicine available. This is the place to be if you want to “blossom” into your healthiest self. Bloom is located at 264 North Coast Highway 101 in Encinitas, just an 11-minute walk away from The Inn at Moonlight Beach! Four Moons’ mission is to nurture guests on their self-care and/or self-actualization journeys. As a licensed Naturopathic doctor, Dr. Amy Chadwick helps her patients understand their own bodies and cultivate healthy lifestyle patterns. Sarah Martin is a medium, energy healer, and teacher specializing in healing the causes of poor mental and physical health. She offers sessions that transform emotional blocks, revealing the reasons behind unwanted life patterns. 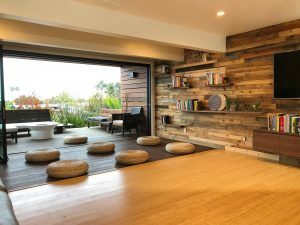 Located within the Omni Resort in Carlsbad, the Deekpa Chopra Center specializes in meditation, mind-body connection, and healing retreats. The address is 2013 Costa Del Mar Road, which is approximately 13 minutes away from The Inn. Established by renowned spiritual leader Thich Nhat Hanh, Deer Park Monastery offers 400 acres of lush mountain scenery and space for meditation. Here, you can partake in mindfulness practice and monastic training. Find it at 2499 Melru Lane in Escondido, CA, about 35 minutes away from The Inn at Moonlight Beach. If you’re passionate about beauty, healing, and overall wellness, Four Moons Spa is a fantastic fit for you. This full-service spa is dedicated to the all-encompassing holistic healing journey. Choose from facials, waxing, tanning, reflexology, acupuncture, astrology, and yoga services, just to name a few. Find this spa at 775 North Vulcan Avenue, within walking distance of The Inn at Moonlight Beach! Lemongrass specializes in a holistic approach to body care. They offer high-quality experiences that deeply nourish all of your senses. Find it at 910 2nd Street in Encinitas. Located in the heart of Cardiff-by-the-Sea is Pure Life Thai Spa. This popular spot offers a variety of inclusive services that reflect traditional Thai practices. Find Pure Life Thai Spa at 2149 Newcastle Avenue, just a 7-minute drive away from The Inn. Located in the heart of North County San Diego, the newly renovated Inn at Moonlight Beach is designed to nourish life. Our modern, boutique inn is the first hospitality building in the world undergoing the WELL Building Standard™ certification. Our thoughtful architecture and flourishing gardens make for a truly unique, elegant retreat just blocks from the beach and downtown Encinitas. Thanks to the clean air, purified water, circadian lighting, nutritious food, and on-site spiritual wellness activities, discovering your healthiest self begins here. From our complimentary Healthy Start Breakfast Baskets (packed with locally sourced treats) to the eco-memory foam beds in each room, every detail of your spacious, modern suite at The Inn is carefully considered and crafted for health and happiness. You’ll love the bright, airy decor and luxurious perks like a private deck (perfect for yoga and meditation), a large soaking tub, and ocean views. No matter what calls you to The Inn at Moonlight Beach, you’ll delight in complimentary amenities like 100% organic cotton robes, aromatherapy diffusers, high-speed Wi-Fi, and locally crafted spa toiletries. Looking to unwind, reset, and engage your senses? Check our availability today! We can’t wait to welcome you.